How long has it been since your bike was on the road?? Ever see a photo of a past ride and think - wow I wonder where so-and-so is? 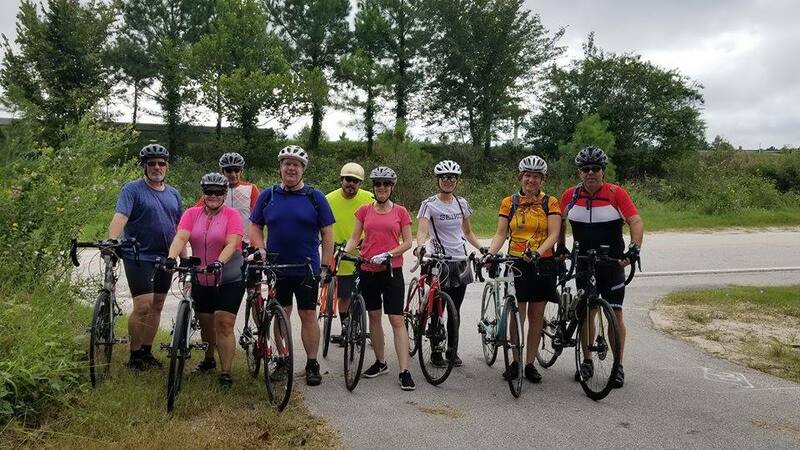 Come out for a casual "reunion ride"
Depending on the number of riders we will either ride the very smooth White Oak trail or the local roads which are not busy on a Sunday morning. BTW - haven't ridden with us before? No problem - we'd love to have you join in on the fun! Meet at 9:15, start at 9:30 am and then a two hour ride and we'll have lunch after. Meet at Onion Creek and let's do a little pre-training series ride on the White Oak path. The path is smooth, fairly empty on Sunday morning and you can ride 20ish miles.